Our live, native-speaking phone interpreters help people who don’t share the same language to communicate with each other over the phone. You have 24/7/365 immediate access to interpreters in over 200 languages. Our goal with every phone call is a high-quality, reliable connection. How Does Over-the-Phone Interpretation Work? For an idea of how over-the-phone interpreting works, we’ll use an example as if you want to communicate in English. When you encounter someone who does not speak English, first you call the ITC Hotline. You let the operator who answers know what language you need. Then, in less than 16.5 seconds, you and your non-English speaking person are connected to a native linguist interpreter for that language! You can have your conversation together successfully with the help of the interpreter. Connection Times: less than 16.5 seconds average connection time (12 for Spanish) – that’s fast! Interpreter Vetting: Our interpreters adhere to the Interpreter Code of Ethics and each is vetted for their interpretation education, experience and competency. 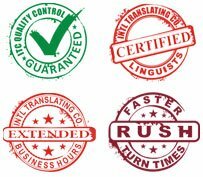 Legality and Compliance: Interpreters must understand and comply with all required confidentiality guidelines, protocols, and certifications.